Although the all new shiny and sparkling new iPad is available as of today there are some that just might think twice about picking up the new iOS slate in favour of keeping their current Apple iPad 2, especially if they want to jailbreak iOS 5.1 on their iPad 2., which some have been wondering when a jailbreak solution will become available. Thus according to the guys over at iDownload Blog, heard not too long ago that pod2g was working to find vulnerabilities in iOS 5; however it would appear that pod2g have been beaten to the post by i0n1c. 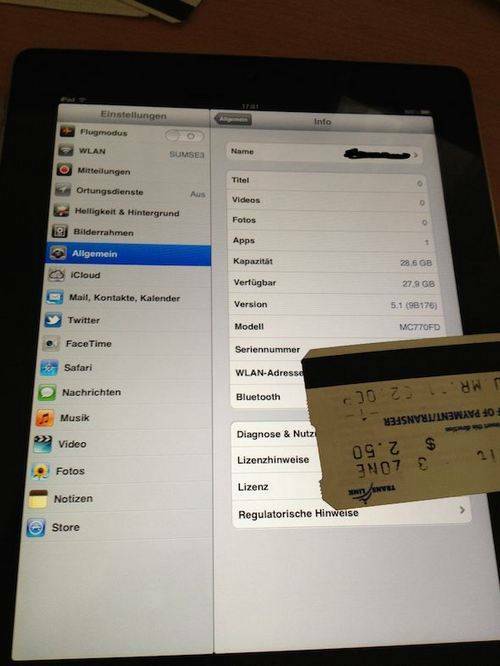 Earlier today i0n1c posted numerous images to his Twitter account, and has confirmed that the hacker has successfully jailbroken iOS 5.1 on an A5 device with the images showing Cydia 1.1.5 running on an Apple iPad 2 using the new software. Hacker i0n1c is responsible for the iOS 4 untether, which lasted right the way through three iOS updates, and was something of a big deal, so i0n1c coming up first with a jailbreak solution for iOS 5.1 on the iPad 2 shouldn’t really come as too much of a surprise. However, one real big question still remains though, and that question is just when will i0n1c make this jailbreak public? That is of course if it ever sees the light of day in the public arena. Are any of our Apple iPad 2 owners waiting for an iPad 2 iOS 5.1 jailbreak, or have you simply decided to rush out and nab the new iPad? I am waiting too …. Is there any information when it will be releasing? Whats he waiting for. I m bored in this new iPad 2 iOS 5.1.
any updates for ipad2 ios 5.1?????? ?